Everyone loves washing their dishes by hand, right? Dishwashers are one of our favorite inventions of the modern age (and retro dishwashers are even more amazing). They save us time and ensure our dishes and utensils are sparkly clean. 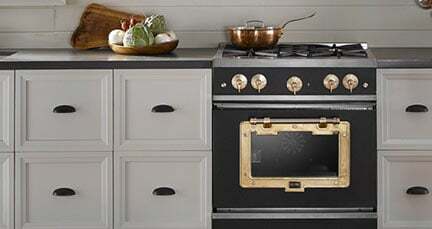 Big Chill thinks that dishwashers should look pretty, too. We want dishwashers to see their time in the spotlight, because they deserve it. 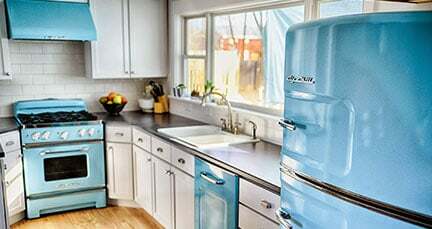 With Big Chill, you can buy a state-of-the-art complete retro dishwasher or get the ever-popular dishwasher panel. Either way, let that beautiful retro dishwasher shine! Our retro dishwashers are Energy Star efficient and feature gorgeous chrome handles for that iconic 50s flair. 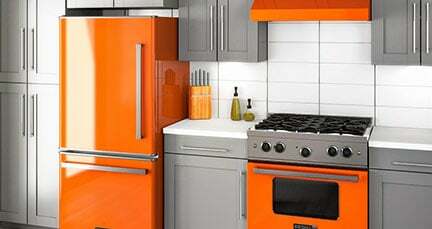 What color will you put in your kitchen? We have over 200 custom color options—and they are all spot-light worthy.